Piet van Dijk, former solo trombonist of the Marine Band of the Royal Netherlands Navy and the "The Hague Philharmonic Orchestra", passed away February 6, 2003, in The Hague, The Netherlands at the age of 82.
and achieved the rank of Major before he went to the The Hague Philharmonic Orchestra as their solo-trombonist in 1957. He played there until his retirement in 1982. 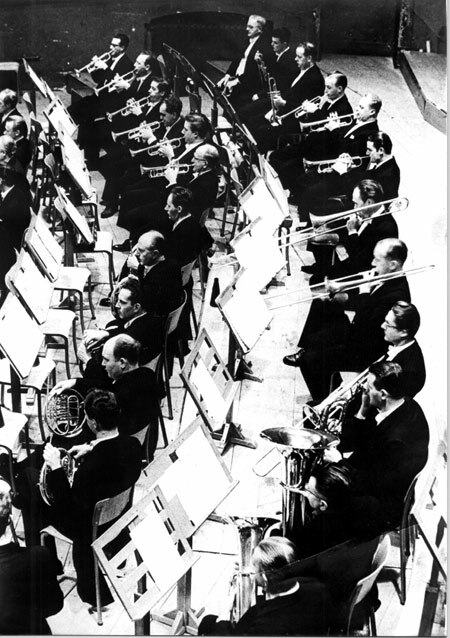 Van Dijk played under well known conductors such as Antal Dorati, Otto Klemperer, Leonard Bernstein, Carlo Maria Giulini, Pierre Boulez, Claudio Abbado, Karl Boemm and many more. 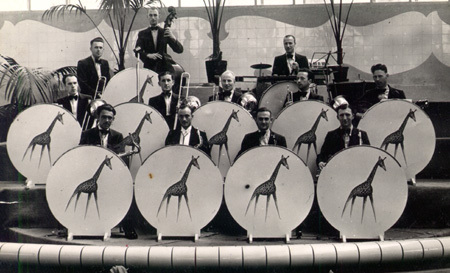 He received many compliments and positive reviews for his natural phrasing and beautiful sound on both the tenor-trombone and the tenor-tuba. 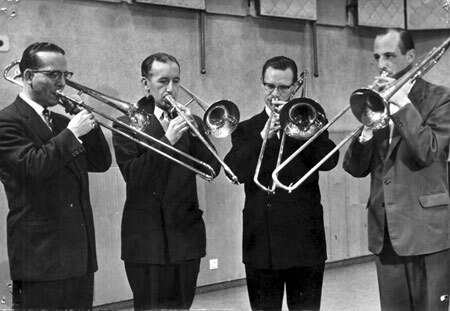 One of the major highlights in his flamboyant career was the performances of the big trombone solo in Mahler's 3rd Symphony in 1960 under Willem van Otterloo. He was the first to perform this Symphony in Holland after the Second World War and received many compliments in the reviews of these concerts. 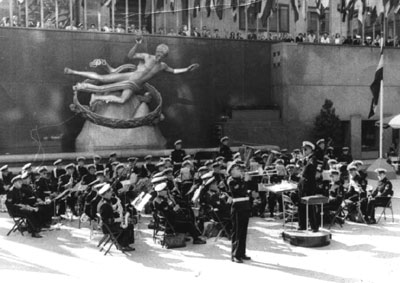 of Mahler's third symphony performances. With both orchestras he made numerous international tours around the world, among them were three big USA tours in 1953, 1962 and 1968. His son, Ben van Dijk, remembers his father as a real family man who loved his wife, children and grandchildren. 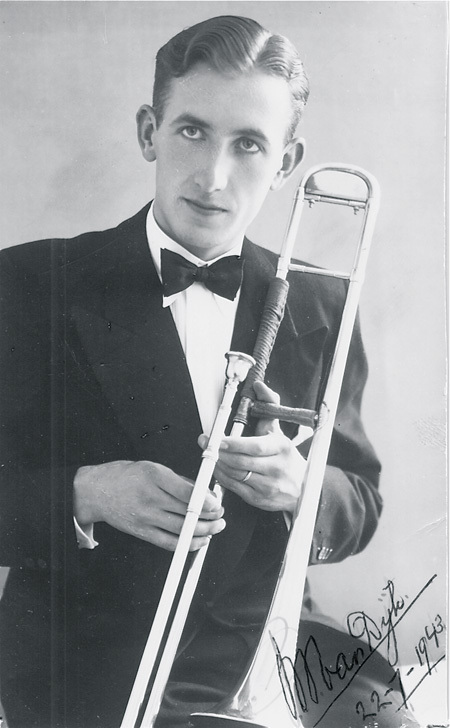 Next to his family, the trombone was the most important thing in his life. After his retirement van Dijk kept playing the trombone only for the joy it gave him and the duet-sessions he had with his friend who is also named Piet van Dijk and his son, Ben. 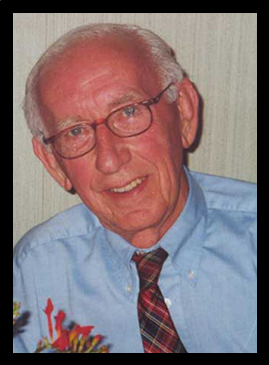 Piet van Dijk in "de Koperen Knopen Band"
Ben wishes to thank all the members of the ITA for giving him the ITA 2003 Award, something what made his father so very happy and proud in his last days in this life.